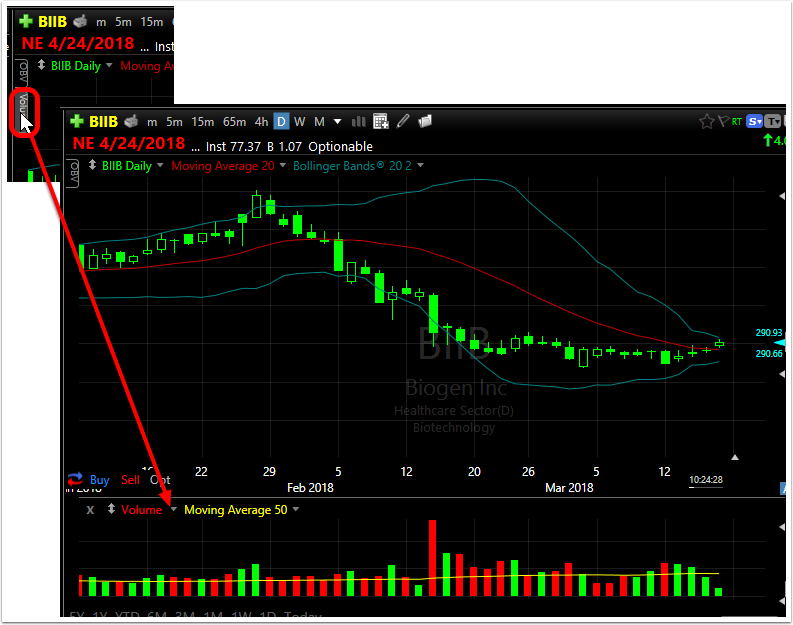 Plotted indicators can be moved or pinned to rearrange the chart to any order desired. Follow the steps below to move an indicator to a different position or pin it temporarily out of view. Next to every indicator is a move button (double arrow) which allows you to choose a new location for the indicator. NOTE: If there is more than one indicator in a pane, you will need to choose whether you want to move an individual plot from the pane or move the entire pane with all indicators. 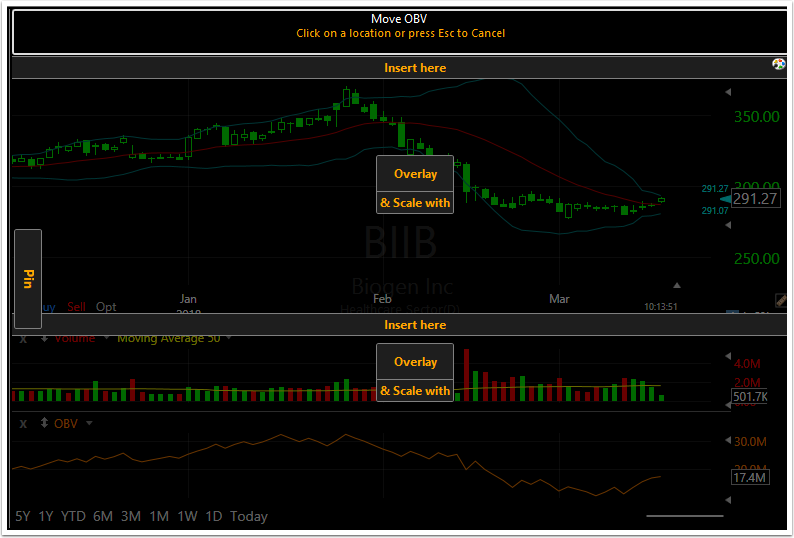 Using the menu buttons on the chart, select the new location for the indicator being moved. 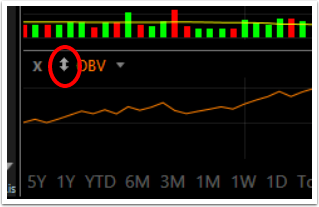 The choices are to Insert an indicator in a new place on the chart or overlay an indicator in the pane with another plot. Choose Overlay to place the indicator in the same pane as another plotted indicator. Use Overlay and Scale With selection only if the two indicators that will be plotted together use the same scale. 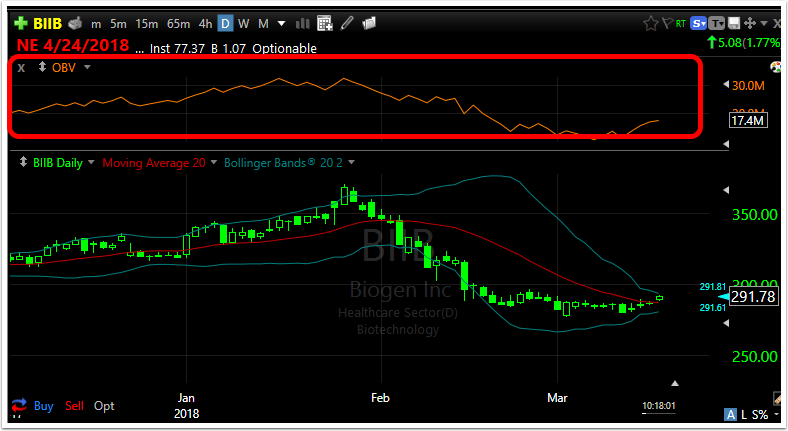 For more on Overlaying Indicators, click here. 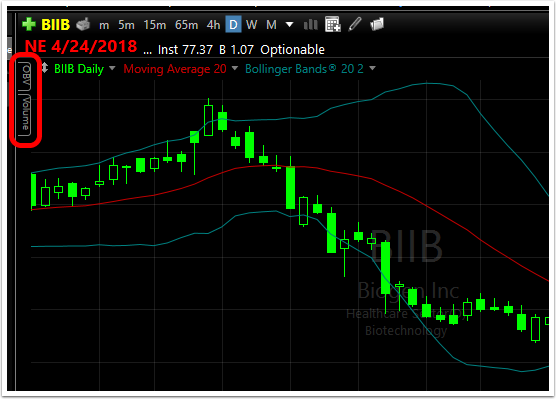 You can also choose to pin any single or multiple indicators to the side of the chart temporarily and then bring them back to their original position with a single mouse click. Click the Indicator move button to get the Pin option. Click Pin to move the indicator out of view. You will see it as a tab along the left side of the chart. Pin as many indicators as you like. 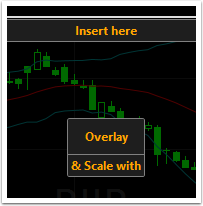 Click the Pinned tab to restore the indicator to its previous position on the chart.